With corrosion-resistant, stainless steel blades. Blades are ground on the inside and back edges for smooth, effortless cutting. Insert molded into plastic handles for greater durability. 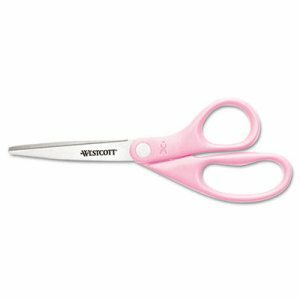 Cut Length: 3 1/2"; Scissor Length: 8"; Tip Type: Pointed; Handle Type: Straight.